Receiving her MD in 1976 from Harvard Medical School, Dr. Benacerraf went on to complete her internship at Peter Bent Brigham Hospital, her residency at Massachusetts General Hospital, and her fellowship in ultrasound and computed tomography at Brigham and Women’s Hospital. During her 30-year academic affiliation with Harvard Medical School, she has risen to the rank of clinical professor in obstetrics, gynecology, and reproductive biology and radiology. 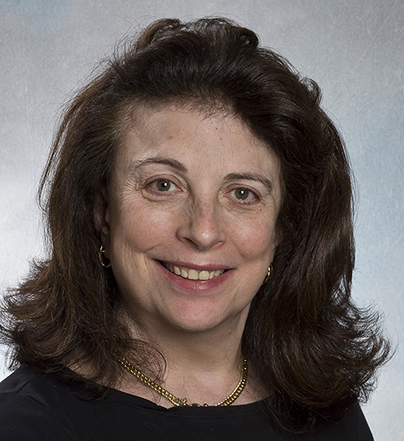 From 1991 through 1993, Dr. Benacerraf was codirector of high-risk obstetric ultrasound at the Brigham and Women’s Hospital, and from 1993 through 1999 she was director of the obstetric ultrasound at Massachusetts General Hospital. Active in the ultrasound community, Dr. Benacerraf has directed and organized a host of postgraduate ultrasound courses. Among her many roles in the ultrasound community, she is an elected fellow of the American College of Radiology and the Society of Radiologists in Ultrasound, was treasurer of the World Federation for Ultrasound in Medicine and Biology for 7 years and is a current board member of the International Society of Ultrasound in Obstetrics and Gynecology. She was treasurer of the American Institute of Ultrasound in Medicine (AIUM) for 2 years, is the current President of that society. Dr. Benacerraf is also the medical director and president of Diagnostic Ultrasound Associates, PC, a medical practice that she founded in 1982. She has served as Editor in Chief of the Journal of Ultrasound in Medicine from 2000 to 2010. Her contributions to the field of diagnostic ultrasound have been recognized by the receipt of the Ian Donald Gold Medal of the International Society of Ultrasound in Obstetrics and Gynecology, the Frye Award and the Holmes award both of the American Institute of Ultrasound. She was selected to deliver the Silver Lecture at Barnard College in 2007, and received the 2008 Marie Curie Award from the Association of Women Radiologists. In 2010, she was the recipient of the Larry Mack award for lifetime achievement in ultrasound research from the Society of Radiologists in Ultrasound. Having authored over 280 peer-reviewed articles, she has focused her research on the detection and significance of fetal anomalies. Dr. Benacerraf did the original research that linked nuchal thickening directly to an increased risk for fetal Down syndrome and developed the genetic sonogram both of which have changed the way all pregnant women are currently screened for fetal Down syndrome. She has also made important contributions to the implementation of 3-dimensional ultrasound in both obstetrics and gynecology. She has contributed chapters to many textbooks in the field and is the sole author of Ultrasound of Fetal Syndromes, currently in its second edition. More recently she has turned her attention to imaging in gynecology and has just publish a textbook in 2014 entitled Gynecologic Ultrasound – a problem based approach. She has dedicated the later part of her career to the teaching of ultrasound, having promoted "beyond ultrasound first" as part of her AIUM initiative. Together with Dr Alfred Abuhamad, she helped develop the first ever curriculum and quality assessment program for the teaching of OB GYN ultrasound to OB GYN and Radiology residents.